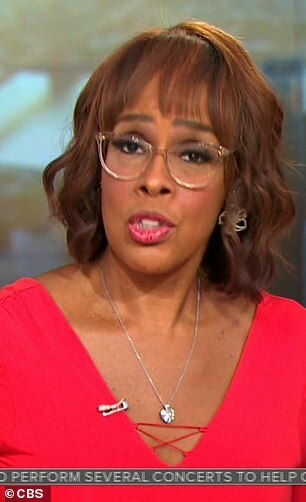 Gayle King is in talks to re-sign with CBS for a reported new salary of $12million – more than double what she is currently making. The anchor is said to be being courted by network bosses over the new deal. According to sources cited by Page Six, she is eager to ensure that CBS This Morning, the show which she is an anchor of, remains competitive under the leadership of new network president Susan Zirinsky. 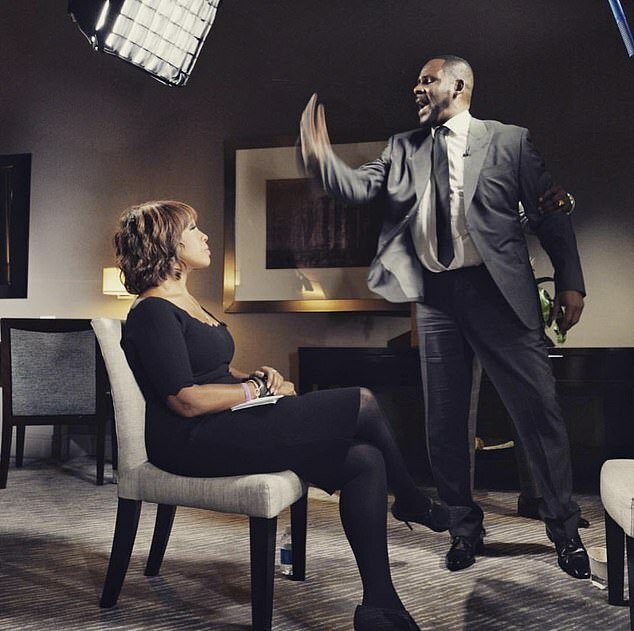 King was universally praised for her exclusive interview with embattled singer R. Kelly earlier this month which was the show’s largest coup for months. Despite the widespread press it received, the interview did not boost ratings. It is unclear if King is fielding any other offers but the network is reportedly revolving the rest of its agenda around her. Earlier this month, the Los Angeles Times cited two sources who said she was pushing for a higher salary which would put her in the same ball park as ABC and NBC’s morning hosts. 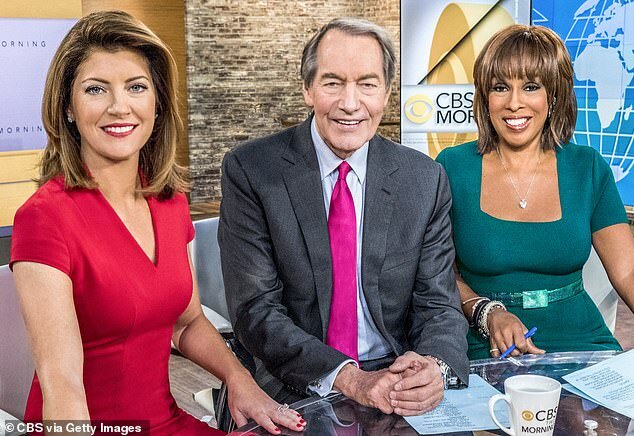 Norah O’Donnell, King’s co-host on This Morning who is being primed to replace Jeff Glor on CBS Evening News, cannot finalize her deal until King signs, according to show insiders. CBS did not immediately respond to requests for comment. One of King’s sticking points, it is reported, is Susan Zirinsky, the new network president who took the reins in March, just as the veteran anchor’s contract was coming to an end. CBS has struggled to regain viewers after the departure of Charlie Rose, who founded the show with King in 2012, amid a string of sexual misconduct allegations. King earns less than her counterparts at NBC and ABC. Hoda Kotb and Savannah Guthrie, who anchor the Today show, both earn a reported $7million – a fraction of their disgraced predecessor Matt Lauer who was said to be pulling in between $20million and $25million a year. Robin Roberts, the face of Good Morning America, earns a reported $18million. The show leads in the ratings. NBC bet big on Megyn Kelly to lure her from Fox in 2017, giving her a three year $69million contract. She left the network in October after making controversial remarks about blackface.